All of our size 5 footballs are top quality and made to stand-up to any terrain, from astro turf to grass pitch. When it comes to performance, rest assured, Pendle has got you and your Club covered! All the size 5 Pendle footballs are created to the highest quality, meeting industry leading standards and tested by industry specialists over and over again for you to receive the best product. 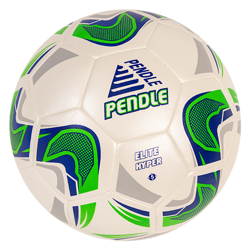 Don't take our word on it, try the Pendle footballs now!